Today was a very entertaining show as I welcomed in studio relationship coach and author of the book Let Love In 101: A Practical Guide to Love and Happiness. I was also joined in studio with my ex-fiancé Marilyn Zayas for a group coaching session with Jody which was entertaining and dynamic. Marilyn and I have known each other for 12 years and remain great friends and it was a pleasure having her in studio with me today along with Jody to talk about some of my many relationship flaws. 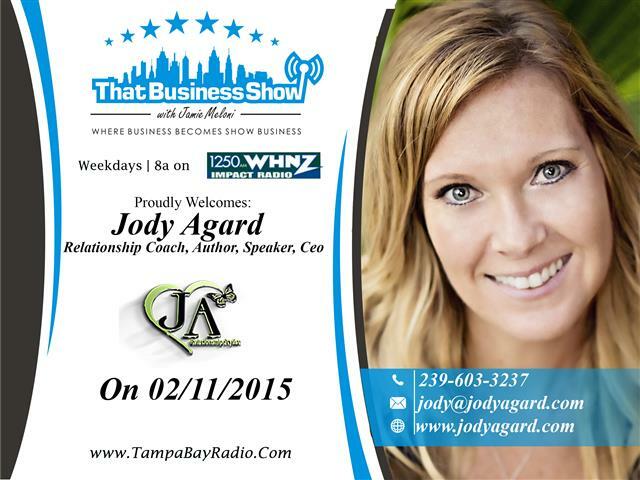 Jody is available for consultations and can be reached at her website http://www.jodyagard.com or by phone at 239-603-3237. Jody’s new book is free on Amazon through Sunday 02-15-15 and you can get a complimentary 1/2 hour coaching session by visiting her website or emailing her directly at jody@jodyagard.com. 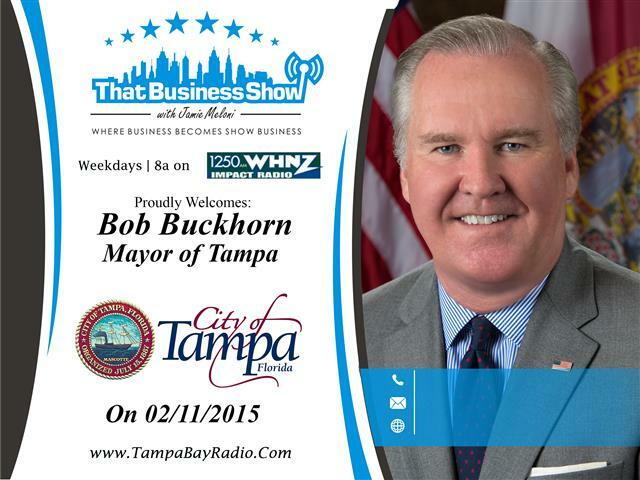 I also had the privilege of talking with Tampa Mayor Bob Buckhorn at the bottom of the hour about some of the many exciting projects going on in the Tampa region including the Tampa Riverwalk and Channel District changes that has many in the community very excited. We will here more from the Mayor on future shows as well so stay tuned in to That Business Show with Jamie Meloni and learn more about the show at http://www.TampaBayRadio.Com!